As one of the nation’s largest supplier of vintage bricks, Stockyards Brick salvages material from classic architectural structures throughout the Midwest. By recovering hand-crafted brick, stone, granite, marble and limestone, we reclaim beautiful, impeccably made materials that would otherwise go to waste. Our passion is finding practical, stunning ways to repurpose the material to our clients. The results? An eco-friendly process that produces exquisite, one-of-a-kind results that leads to happy customers. The advantages of building green by utilizing natural, renewable, and reclaimed materials are numerous. When you choose to build green with antique brick, not only are you using a piece of history, but you are using an item that today uses no chemicals, has no environmental waste, doesn’t use any natural resources, and doesn’t require digging of valuable soil. Bricks also do not contain any ozone depleting substances and can significantly reduce your carbon footprint by cutting energy and resource consumption. Pursuant to a building being razed, most of its components are crushed and intended for the landfill. By building green and repurposing these extraordinary materials reduces waste and is environmentally responsible. Following the great Chicago fire of 1871, which destroyed over three miles of the city, reconstruction efforts began promptly and efficiently. Architects and city leaders laid the foundation for the “great rebuilding” and regulations required new construction to be manufactured primarily of brick or stone. At Stockyards Brick, many of our vintage brick have been extracted from that rebirth. We also reclaim brick from other major Midwestern cities. The antique kilns used in the manufacture of these old brick, combined with the diversity of clay deposits found in the earth years ago, allowed for the spectacular variation of color and texture in these historic building materials. 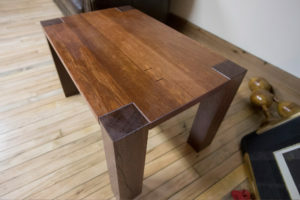 From antique brick and street pavers, reclaimed lumber and timbers, to reclaimed architectural treasures, all of these items, once destined for the landfill are resurrected by us and given new life, fulfilling a commitment to the planet and gifting homeowners, designers and builders with extraordinary materials. We at Stockyards Brick have made this our mission…it’s the natural thing to do! As part of a green initiative, Stockyards Brick proudly offers environmentally sustainable products. In fact, our entire company is founded on the idea of sustainable living, since our bricks are reclaimed from old structures, leading to LEED certification of the buildings we work with. Since we salvage our materials from old buildings, the bricks are more durable and efficient than bricks made today, making them extremely energy-efficient. The USGBC’s Leadership in Energy and Environmental Design (LEED) rating system is the nationally accepted benchmark for green building. 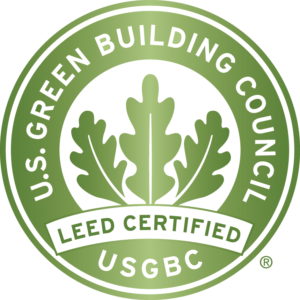 Stockyards Brick is proud to support the United States Green Building Council by providing a wide selection of products that comply with LEED guidelines and contribute to LEED certification. Adhesives, sealants and sealant primers must comply with South Coast Air Quality Management District (SCAQMD) Rule 1168. The adhesive used in our engineered products has a low VOC content (5.6 g/L, less water and less exempt compounds) and is in compliance with Rule 1168. Clear wood finishes, floor coatings, stains, primers, sealers, and shellacs applied to interior elements must not exceed the VOC content limits established in South Coast Air Quality Management District (SCAQMD) Rule 1113, Architectural Coatings, rules in effect on January 1, 2004. Stockyards Brick and Timber’s pre-finished products contain zero VOCs (less water and less exempt compounds) and are in compliance with Rule 1113. All flooring elements installed in the building interior must meet the testing and product requirements of the California Department of Health Services Standard Practice for the Testing of Volatile Organic Emissions from Various Sources Using Small-Scale Environmental Chambers, including 2004 Addenda. Mineral-based finish flooring products such as tile, masonry, terrazzo, and cut stone without integral organic-based coatings and sealants and unfinished/untreated solid wood flooring qualify for credit without any IAQ testing requirements. 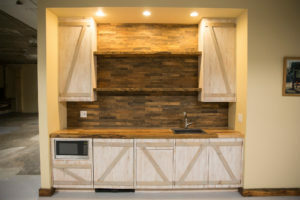 Use salvaged, refurbished or reused materials, the sum of which constitutes at least 5% (one point) or 10% (two points), based on cost, of the total value of materials on the project. 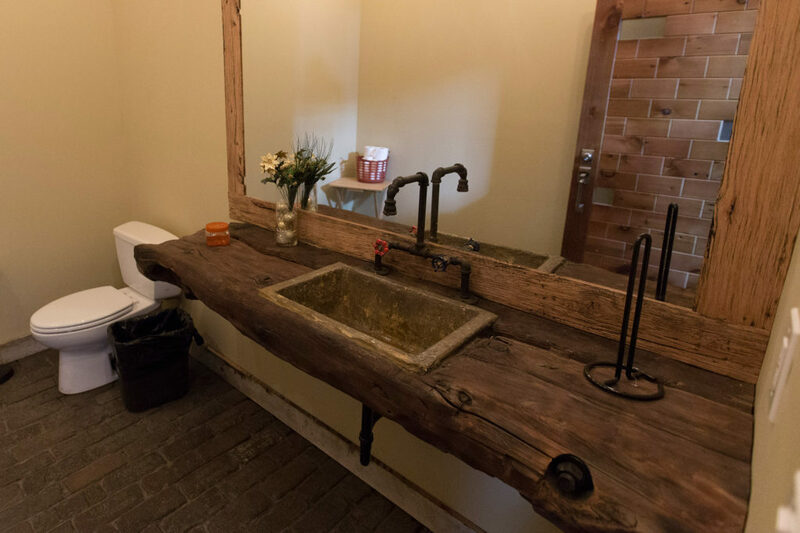 Stockyards Brick and Timber reclaimed materials such as antique beams qualify for MR Credit 3. Use materials with recycled content such that the sum of postconsumer recycled content plus 1/2 of the preconsumer content constitutes at least 10% (one point) or 20% (two points), based on cost, of the total value of the materials in the project. Stockyards Brick and Timber’s solid reclaimed flooring is 100% postconsumer recycled and 20% of our engineered reclaimed flooring is postconsumer recycled. Use building materials or products that have been extracted, harvested or recovered, as well as manufactured, within 500 miles of the project site for a minimum of 10% (one point) or 20% (two points), based on cost, of the total materials value. If only a fraction of a product or material is extracted, harvested, or recovered and manufactured locally, then only that percentage (by weight) can contribute to the regional value. This credit varies by project. 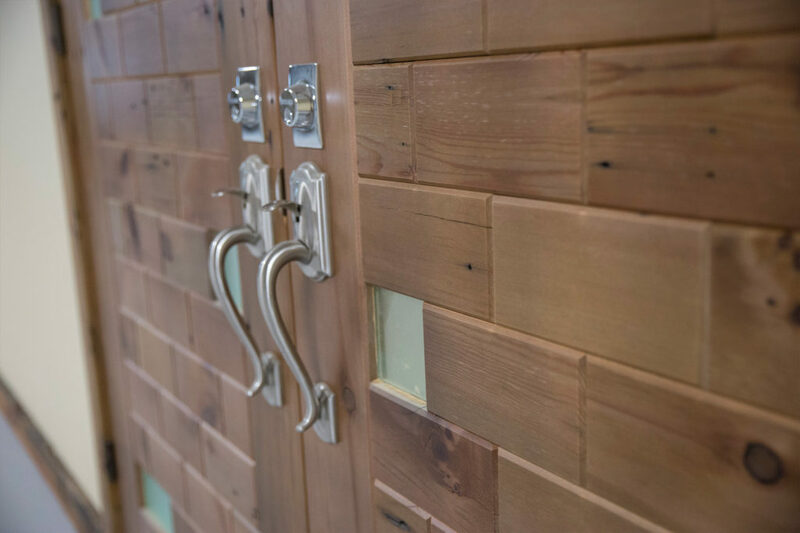 We often source reclaimed heart pine and reclaimed hardwoods such as oak and chestnut from existing structures within 200 miles of our facility. 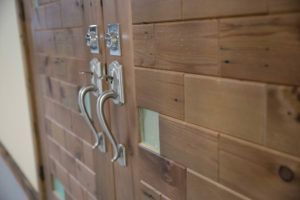 For LEED projects, we can source regional wood upon request. Use a minimum of 50% (based on cost) of wood-based materials and products that are certified in accordance with the Forest Stewardship Council’s principles and criteria, for wood building components. 100% of our solid FSC® Certified Harvest flooring and 80%-100% of our FSC Custom Engineered flooring carry the FSC Mix certification.